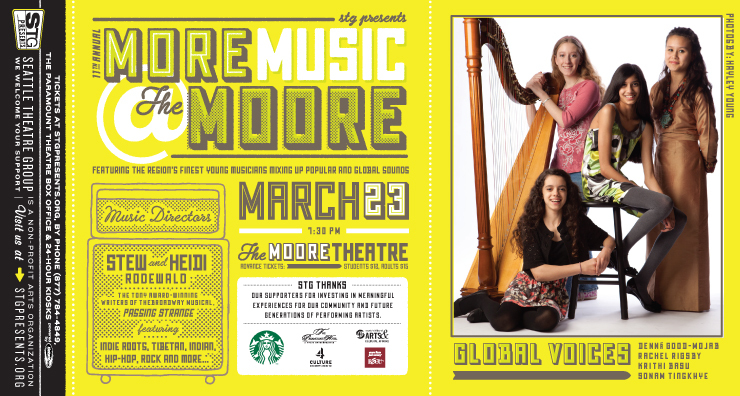 MORE MUSIC @ THE MOORE is a training and performance program for selected young artists representing diverse music genres. The program provides young artists training and rehearsal time with professional musicians; production and promotional support; recording experience; and the opportunity to perform live in concert at a professional venue, The Moore Theatre. Artists are selected through a curated process, recommendations and/or submissions.